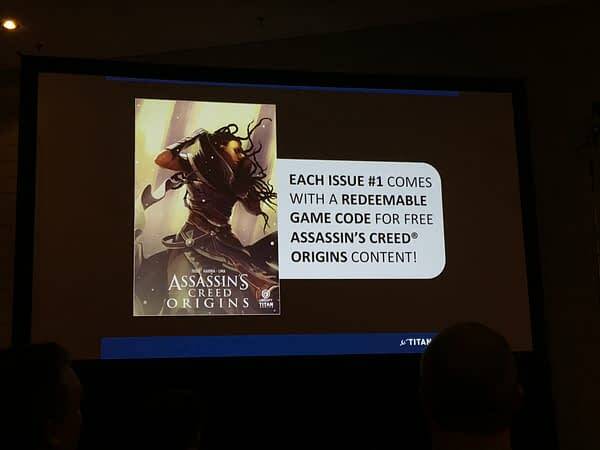 Titan Comics has announced a new Assassins Creed Origins comic book based on the new game. Of note to game players, they have stated that each issue will come with a digital code to download bonus content for the game. Order 25 or more and it’s fully returnable. And of note for retailers, any comic store that orders 25 copies or more of the first issue will be able to return any unsold copies.Order 25 or more and it’s fully returnable. This is all coming out of Diamond’s Retailer Breakfast ahead of New York Comic Con, happening today. You can catch up with any other Retailer Breakfast announcements here.